Jack in the Box’s fast-casual brand, Qdoba Mexican Eats, is relocating its offices from the Denver area to San Diego, where it will begin sharing space early next year at its parent firm’s Kearny Mesa headquarters. The move comes with a bonus: 50 new hires and a gradual rollout of Qdoba eateries in San Diego, potentially setting the stage for a rivalry with competitor Chipotle Mexican Grill. While Jack in the Box is based in San Diego and has numerous fast-food outlets here, Qdoba didn’t have a presence in the county until it recently opened a location at San Diego International Airport. Jack in the Box acquired Qdoba more than a decade ago but the subsidiary remained headquartered in Denver. Now, it sees the financial wisdom of sharing resources, said Keith Guilbault, the brand president. Guilbault said the company will be scouting for new restaurant locations throughout the county, with the goal of opening some by next year. There are six Qdoba outlets in the Los Angeles area. San Diego restaurant consultant John Gordon is surprised that the chain’s relocation to San Diego didn’t happen earlier. The sharing of resources, he said, makes financial sense and opening some Qdoba restaurants here could serve as a convenient proving ground for future store and menu development. The expected expansion effort comes three years after Qdoba moved to close more than 60 stores in ill-performing locations. “Qdoba is more important to Jack in the Box now because they’ve identified it as their major growth brand and they want it in a place where they can watch it,” Gordon said. “Qdoba closed stores, made some menu changes and brought in a new CEO, so it’s been on a recovery road ever since. they opted not to move to San Diego, he said. The chain has more than 650 restaurants in 47 states, the District of Columbia and Canada. chains into the hands of Yum! Brands. Editors’ pick: Originally published Nov. 7. Could an activist hedge fund drive Dunkin’ Brands (DNKN – Get Report) to put itself on the market? For Gordon, a Yum! acquisition of Dunkin’ Brands would help boost the donut company’s international growth. Yum! is already subject to an activist that is likely looking for more growth-oriented deal-making. And the restaurant chain has the infrastructure and expertise in place to help Dunkin’ Brands expand its franchised model successfully. Dunkin’ Brands currently has roughly 5,000 Baskin-Robbins and 3,000 Dunkin’ Donuts locations outside of the U.S., which, as a group, haven’t performed well lately, posting negative same-store sales for the past three quarters. Gordon noted that it opened 11 Dunkin’ Donuts International locations in the third quarter, a low number signaling weakness. In addition, Greg Creed, Yum! CEO, told investors that the company has enough cash to pursue an acquisition despite its commitment to return $13.5 billion to shareholders between 2015 and 2019 in stock buybacks and dividend distributions. “If an opportunity arose, we’ve got plenty of liquidity and we’ve got plenty of cash to take advantage of it,” Creed said at the conference. In fact, Yum! had about $2.9 billion in cash as of September, up from $861 million in the same period last year, according to its October quarterly report. “The cash amount is way up, fueling the speculation that something could be done with it before it is dividended out or used to reduce debt,” Gordon said. Sharon Zackfia, restaurant analyst at William Blair, said that one positive aspect to a Yum!-Dunkin’ Brands combination would be that there isn’t much overlap when it comes to each company’s businesses. “They are both franchised concepts and there would be little cannibalization of Dunkin’ by Yum!’s KFC or Taco Bell,” Zackfia said. international operations if the company could improve its existing franchised locations first. Alternatively, an activist could agitate to have Yum! acquire Subway, which is privately held and has over 44,000 locations inside the U.S. and outside. The sandwich retailer’s co-founder, Fred DeLuca, passed away last year, leaving DeLuca’s sister, Suzanne Greco, in charge. Gordon contends that Subway could be a target for acquisition in the months to come. “The trouble with Subway is they overdeveloped stores in the U.S. and DeLuca’s sister is running the place and she doesn’t have the brand transformational skills,” Gordon said. Corvex Management’s Keith Meister, a protégé of Carl Icahn, has been agitating at Yum! for some time. Meister initially pushed for a separation of the China business, and in 2015, Yum! added the activist manager to its board just as it said a decision was imminent on a strategic review it was working on. The insurgent manager owned 21 million shares, with a $1.7 billion value, as of its most recent positions filing in August. Meister, who is still on the board, could push for Yum! to acquire Dunkin’ Brands, Subway or other fast-food chains to drive growth. However, Zackfia said she was skeptical that Yum! would be interested in buying Subway, partly because with its numerous locations in the U.S. and abroad it may be too far along on the maturity curve for the KFC, Taco Bell and Pizza Hut owner. “Yum! would likely want something younger that they can grow,” she said. Another fast-food company that could become an M&A target in the months to come is Chipotle Mexican Grill (CMG – Get Report) . The burrito chain is under pressure from activist investor Bill Ackman’s Pershing Square Capital Management, which has a 9% stake. One activist fund manager, who requested anonymity, told The Deal that he believed that Ackman could try to force a merger between Restaurant Brands International (QSR – Get Report) , which owns Burger King and Tim Hortons, and Chipotle. In addition to Ackman’s large Chipotle stake, the embattled insurgent fund has a 17% stake in Restaurant Brands and could be trying to drive growth at QSR and reap a premium on his investment in Chipotle. In addition, a large swath of Chipotle’s shareholders aren’t happy with the company’s performance and executive compensation, including CtW Investment Fund, an organization that advises pensions for unions that is seeking to have the company replace one of its co-founders with an independent director. Feeling the heat, the burrito chain responded last month with a dizzying array of new initiatives targeted at igniting growth at the same time that it posted a disastrous third quarter. How would a deal work? It is extremely unlikely that Restaurant Brands International will be a candidate for an activist-pressured takeover anytime soon. Private equity firm 3G Capital, co-founded by Alexandre Behring, controls Restaurant Brands International’s exchangeable units that convert into about 43% of the voting interest in the company, a major impediment to any dissident-director election effort. But a Restaurant Brands acquisition of Chipotle would have problems as well. Gordon notes that QSR has accumulated a substantial amount of debt when it was formed to combine Burger King and Tim Hortons in 2014, and as a result it is likely to spend the next few years on developing its existing brands. Instead of a deal, Ackman could pressure the burrito chain to shift its company owned model into a franchised approach in a move that could drive a hike in capital distributions to shareholders. The idea is simply to sell company-owned stores to their operators or other interested parties to raise cash. Chipotle currently does not franchise and would have to establish the appropriate infrastructure, which includes setting up operational support systems, training and setting up of franchise advisory councils, as well as construction assistance. franchising to raise cash for a hike in its capital distribution plan. “They have no existing debt so they wouldn’t have to do franchising to raise [capital] to repurchase more shares,” Zackfia said. In addition, it would take significant time for Chipotle to shift to a franchising model, domestically, internationally or both. “There are systems and infrastructure that need to be set up to do franchising. It would take at least 12 months to do it,” Zackfia said. “expanding … in Europe holds a lot of promise” for the chain’s future. publication of TheStreet that offers sophisticated insight and analysis on all types of deals, from inception to integration. ©1996-2018 TheStreet, Inc. All rights reserved.Action Alerts PLUS is a registered trademark of TheStreet, Inc. Restaurant Finance Monitor – What Happened at Cosi? Investor’s Business Daily – Can McDonald’s And Other Quick-Serve Franchises Digest $15 Minimum Wage? McDonald’s (MCD) won few plaudits a year ago when, under fire from the Fight for $15 movement, it hiked the starting wage in its company-owned stores to $1 over the minimum. Union organizers were far from satisfied. The hike upped the company’s average hourly wage to just above $10 an hour, and it only applied to workers at the roughly 1,500 company-operated restaurants in the U.S. — only about 10% of the total chain. Being put on the spot to match the wage hike — by their hourly workers, if not exactly by Easterbrook — was, to say the least, awkward. The group has more to lose from minimum-wage hikes than non-franchise restaurants in the fast-food industry. 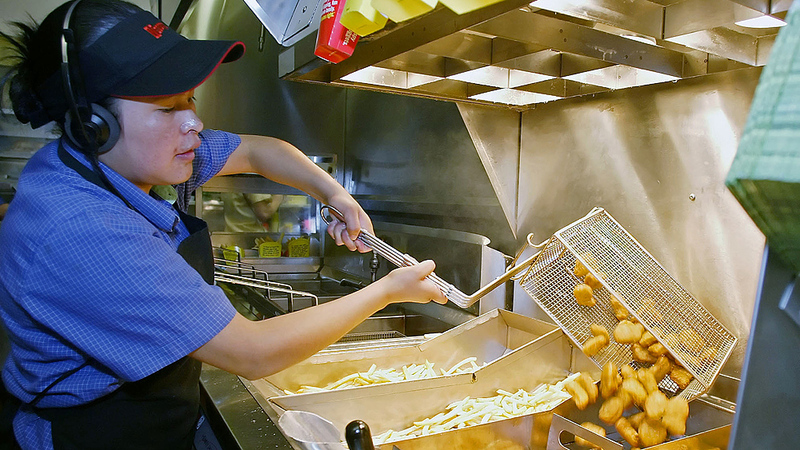 Quick-service franchises often operate on very thin profit margins. A big wage hike would squeeze them in multiple ways. First, their labor costs go up, which puts pressure on them to raise prices. Higher prices could translate to lost sales. Second, assuming that higher prices generate enough extra revenue to pay for the higher labor costs, franchisees have an added burden: The fees they pay to the companies behind franchises like McDonald’s and Burger King (owned by Restaurant Brands International (QSR)) are a fixed percentage of sales — a 10% price hike means a 10% hike in franchise fees. For quick-service chains with few company-operated stores, a much higher minimum wage won’t have much of a direct effect, but a deterioration in the financial health of their franchisees — even if fees from the franchises were increased — would bode ill for the company’s future. Chains such as McDonald’s and Burger King charge franchisees a royalty of around 4%-5% of sales and a similar-sized marketing fee. On top of that, a number of chains, including McDonald’s, Burger King, Tim Horton’s, Wendy’s (WEN) and Jack In the Box (JACK), generally lease out their restaurant locations to franchisees for an additional percentage of sales, said John Gordon, founder of Pacific Management Consulting Group, which provides restaurant industry analysis to investors and franchisees. At McDonald’s, rent can reach 14% of sales or more, Gordon said. That looks to be the case in California and New York, where the minimum wage is set to rise to $15 an hour by 2022 and July 2021, respectively. While New York’s statewide minimum wage is only set to rise to $12.50 outside of New York City and surrounding counties, quick-service chains will have to pay $15 statewide under a separate fast-food wage, unless courts strike down the unequal treatment. A survey conducted for the Employment Policies Institute found that franchise businesses would be more likely than non-franchise businesses to cut jobs (65% vs. 51%) and turn to automation (54% vs. 37%) in response to a $15 wage. While the group advocates against minimum-wage hikes, the notion that franchisees would be less able to manage higher labor costs jibes with analyst comments that labor costs passed through as price increases would also raise the cost of royalties, marketing and rent. To the extent that advocates of a $15 wage have acknowledged the pressure it would put on franchisees, they have said that disrupting the franchise model is a feature of their strategy, rather than a bug. The industry’s legal challenge against Seattle’s faster phase-in of its $15 minimum wage for franchisees, which would otherwise be given the same slower timetable as small businesses, prompted Mayor Ed Murray to argue that the franchise business model is exploitative. “I don’t believe that the economic strain comes from a fairly slow phase-in of a higher minimum wage, but on a business model that really does — in many cases — harm franchise owners,” Murray said. Industry experts see little chance that financial stress for franchisees exacerbated by minimum-wage hikes will lead to broad change in the model which ties franchise fees to a fixed percentage of revenue. This is, in part, because the franchising contracts tend to be 20 years in length. Still, Gordon of Pacific Management Consulting Group sees potential for revamped deals on a case-by-case basis if franchise locations encounter financial trouble and have to sell. “The franchisor generally wants to keep the lights on,” Gordon said. By way of encouraging a larger franchise operator to buy out small “mom and pop” operators in financial distress, the company “might think about reducing royalty rates,” he said. Gordon notes that most companies provide little transparency about the financial status of their franchisees — Popeye’s (PLKI) and Domino’s (DPZ) being exceptions — and Gordon argues that such franchisee metrics are critical. “Profitable franchises produce an environment for franchise expansion,” Gordon wrote. Because franchisors are paid based on revenue — not profit — it’s possible for the financial performance of franchisor and franchisee to diverge for a time. Minimum wage hikes that lead to price hikes might cause such a divergence, as might a discounting strategy that boosts sales but doesn’t help the bottom line. Adams of Franchise Equity Group says the ongoing shift by big fast-food chains away from company-owned stores “is a reflection of the increasing risk and decreasing margins” quick-service restaurant operators face. He notes that franchising contracts generally require franchisees to invest a few hundred thousand dollars in the restaurants over time to update technology and remodel. McDonald’s, for example, has been previewing its restaurant of the future recently, including “Create Your Taste” kiosks that let people custom-order their burgers. If franchisees are under stress because of a higher minimum wage, they won’t have the cash flow needed to reinvest, Adams says. McDonald’s executives on Friday said the company’s own wage hike shrank profit margins at company-owned U.S. restaurants in the latest quarter, but neither Easterbrook nor analysts brought up the $15 wage coming in California and New York. For now, with commodity costs low and business getting a lift from all-day breakfast, Easterbrook said that franchisees’ cashflows are at an all-time high in many major markets. Publicly-traded Carrols Restaurant Group (TAST), which operates 705 Burger Kings, says that restaurants remodeled in line with the BKC 20/20 restaurant image at a cost of $400,000 or more have seen a 10% to 12% boost in average sales. Dunkin’ Brands (DNKN) CEO Nigel Travis told analysts in an earnings call last October that the company has been instructing its franchisees that it’s best not to hike prices in response to minimum-wage hikes. “We demonstrated by case studies, and I’m thinking of one particular where because of the minimum wage change in one town, they increased prices twice in a short period, and the (sales) in those stores went progressively negative,” Travis said. Industry trends suggest the goal of quick-service chains that compete on price will be to get customers to spend more by building loyalty programs; offering custom orders and a wider range of quality options; and streamlining their staffing needs. But the challenge is huge, and poor execution could imperil their franchisees in high-minimum-wage areas. One clue to how difficult it will be for franchise vs. non-franchise models: On February’s earnings call, Morgan Stanley analyst John Glass told management: “I’ve observed in Boston, for example, Dunkin’s pricing about $0.10 above Starbucks for a regular coffee” in response to the $10-an-hour Massachusetts minimum wage. Dunkin Brands and Restaurant Brands International both plan to report quarterly results on Thursday. Riding a wave of momentum triggered by the launch of all-day breakfast, the world’s largest fast-food company is grappling with the next stage of its turnaround plan: its new value platform. Turning McPick, as it’s called, into a consistent, advertising-backed national program that appeals to its core cost-conscious consumers is crucial for Oak Brook-based McDonald’s, whose big bet on breakfast is paying off but won’t last forever. McDonald’s needs McPick to be a supersized hit. Its customers want a new value menu, too. Offering one ranked as the top change McDonald’s could make to drive more customer visits, according to a national survey conducted in August on behalf of Crain’s by Chicago-based research group 8Sages and the late pollster Leo Shapiro. The survey found that 32.4 percent of respondents would dine at the Golden Arches more often. But executing such a program across more than 14,000 U.S. restaurants owned by McDonald’s and hundreds of franchisees is complex. “We’ve been trying to develop a new value menu for six years and, obviously, it hasn’t worked out all that well,” says one franchisee from the Southwest, who requested anonymity. which analysts believe helped boost traffic, may have hurt profitability in some markets because of a “trade-down” factor, in which customers chose the $2 deal over a regular-priced entree or value meal. promotion remains in most markets today. Others, including the Atlanta market, have kept the 2-for-$2 deal. “In spite of the mixed success of 2-for-$2, we believe McPick 2 can represent (a meaningful) value brand for McDonald’s,” RBC Analyst David Palmer wrote in a March 7 note to clients. Franchisees prefer the richer 2-for-$5 promotion, which has enough shine to lure customers and, if bundled with fries and a drink, can bring the average check size to $7 or $8. competitors Burger King and Wendy’s went all-in on value offerings of their own, which analysts say took share from McDonald’s. But much has changed since the introduction of the Dollar Menu, which sparked a decade-long run of robust sales growth in the U.S., its largest and most important market. in the way of getting disparate franchisee groups to march together on a sustained value platform. A deal that makes financial sense in Omaha, Neb., for example, may be a money loser in Manhattan. paid for with a pot of money funded by franchisees. share,” which has set up a sort of race to the bottom. The prevailing thought is: If they don’t discount as deeply as their peers, customers will go somewhere else. It’s a risk McDonald’s can ill afford to take. Bob Evans Farms logo await the hands of hungry shoppers. sales at all. Bob Evans side dishes command 50 percent of the market and have three times as much market share as the closest competitor, Hormel. “When we first introduced into QFC (a subsidiary of Kroger) in the Portland area, within the first three months, Bob Evans was the leading item in the category,” Townsley said. Creations, in 2012 and invested $25 million to expand a plant in Lima, Ohio which can now make about 100 million pounds of mashed potatoes and macaroni and cheese a year. The company is spending $20 million this year to increase capacity in Lima by 30 to 40 percent. 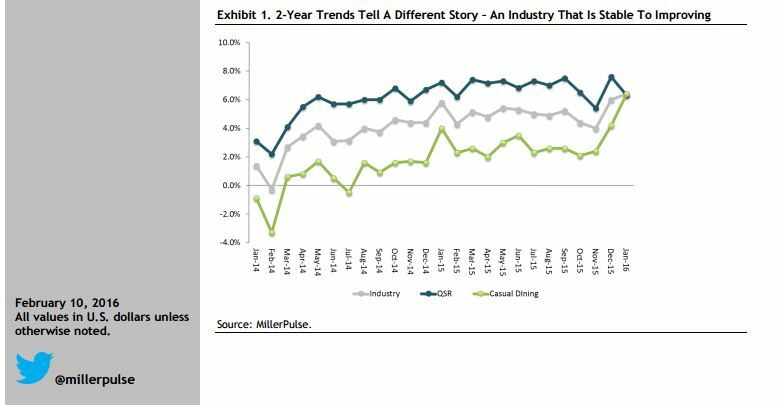 division has made more money than the restaurants in recent quarters and is growing at a double-digit clip. least one potential buyer had stepped forward and he believed the sale price could approach $1 billion. Sandell hopes to reward shareholders like himself with a windfall dividend or expansive share buybacks. needs the company’s full attention. Townsley said his team tries to ignore the chatter, but admits that it is human to be distracted by such talk. president of retail insights at Kantar Retail. “Refrigerated side dishes are a huge time saver at what is perceived as moderate expense,” Rand said. And to Gordon’s point that the two Bob Evans’ divisions have diverged: At the grocery store, the brand name doesn’t matter; product perception is everything in the cold case, Rand said. “The restaurant’s own brand may be largely irrelevant. It may assist early trial and adoption, but the item has a stand-alone value even if a shopper is not particularly aware of the restaurant chain,” Rand said. pancakes or sausage will buy its side dishes. Townsley thinks it is even simpler than that. I’ve noted the reluctance of virtually all restaurant franchisors to report the profitability of franchised stores. But there are a few franchisors that do. number. Both franchisors have done so for some time, three years now by my count. The table below shows the trends. Domino’s $120,000 +133 Up from $80,000. Despite the fact that store EBITDA is profit before everything—profit before taxes, franchisee overhead, debt service and future years capital spending (CAPEX), these are still important indicators. There are two implications that can be easily seen. This week’s minimum wage increases in California and New York were made without the general awareness of how marginal franchisee true cash flows could be, after allowing for brand royalties, rent margins, price discounting, capital expenditures and other fees. The policy makers and the politicians didn’t have the data and have to be educated in any event. Most have only a very hazy understanding of the difference between the large franchisor corporations and franchisees, and most importantly, who pays for what. Some will say the wage increases would have happened anyway; but the small business advocacy game has to be played with all the cards in the deck. Franchisors can improve the odds with better disclosure. In other words, profitable franchises produce an environment for franchise expansion. Take for example, both Domino’s and Popeyes. They were in the midst of a recent period of rising store level profitability. The profitability gains of their franchised restaurants encouraged and enabled future unit expansion, as both CEOs noted to analysts. Future franchisee unit growth was funded via retained profits and positive cash flow that franchisees accumulated. Why? Because almost every franchise loan requires injected franchisee capital, and because most franchisors target their own franchisees for expansion. That means profits for the franchised stores first, then franchise unit expansion, not the other way around. History shows that massive increases in franchise store count without the average store being profitable bodes poorly for a franchise system in the restaurant industry.